According to 1997 projections, the total population of the Bunyoro-Kitara Kingdom is between 800,000 and 1,400,000 living in 250,000 - 350,000 households. 96% of the population live in rural areas, and only 1% of the population uses electricity for lighting and cooking. More than 92% of the population are poor, and has earnings more than half that of the Ugandan national average, and about 54% of the population is illiterate. 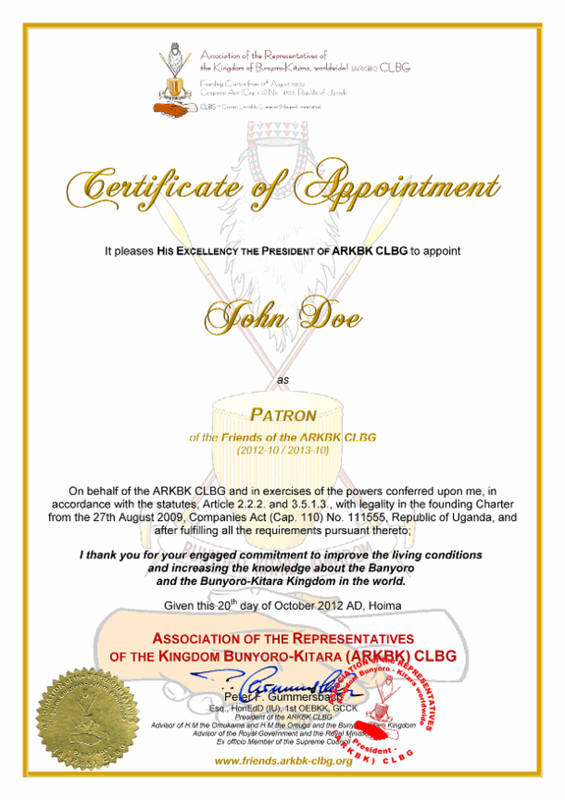 Are you interested in improving the living conditions of the people (Banyoro) in the Bunyoro-Kitara Kingdom? We have established the possibility that you can actively help the people to improve their living conditions. Become a part of us, without responsibilities! Choose the membership level (Patron, Benefactor, Supporter or Friend). Pay the membership level (Instant membership, yearly renew). You will receive as soon as possible your "Certificate of Appointment as Patron/Benefactor/Supporter/Friend" via e-mail.